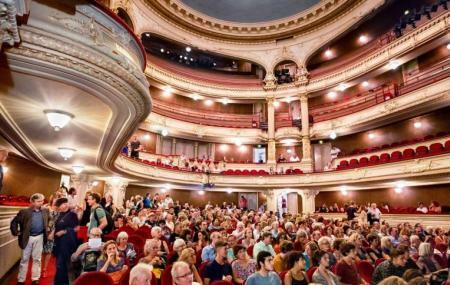 Stadsschouwburg is a municipal theatre in Amsterdam and has been there since 1774. The architecture of the place was neo-classical in the beginning and now has been converted to a neo-renaissance style theme. The place is one of the most beautiful destinations to visit in Amsterdam and sees a massive amount of Tourists all year round. The theater is famous for its opera productions and has a 1200 visitor capacity. Tickets depend on the show and can be known locally. Take a tram or from Amsterdam, Leidseplein. People normally also visit Electric Ladyland Fluorescent Art Museum while planning their trip to Stadsschouwburg. This building houses 2 theatre spaces. The older style proscenium arch theatre and a modern studio style . Both are large, one neglected and one very new and modern, interesting as is the theatre that plays here. Highly recommended. This is a beautiful, classic theater. The size is small enough to feel intimate and large enough to feel grand. I’ve seen mostly dance performances here and have thoroughly enjoyed.